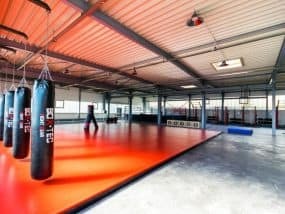 th, Solingen looking for a gym for Brazilian Jiu Jitsu, Mixed Martial Arts and Functional Fitness? Black Circus BJJ offers you Brazilian Jiu Jitsu with all its fascination, diversity and power. 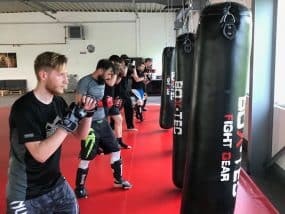 In the Mixed Martial Arts (MMA) Basic course, you also have the opportunity to gain initial experience in the MMA and thereby increase your fitness. In addition, we offer you the Black Circus – Healthy Fighter Concept, a functional fitness concept in personal coaching, especially for the needs of martial artists. We train on 144 m² mat surface, in the temple wushu in Wuppertal-Vohwinkel. The modern space also offers a versatile and professionally equipped strength and functional fitness area. At Black Circus BJJ, you will be looked after by well-trained and motivated trainers and can increase your performance and learn new things in a friendly training atmosphere. Our goal is to inspire and motivate you to give your best every day! Come over and do a trial! 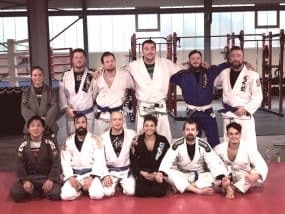 4 reasons why BJJ is going to change your life! Our training offers you a perfect balance to the stressful everyday life. With us you can train BJJ with a lot of fun and additionally reduce your pent up energies. Some great Websites you should visit!